In November 2018, WLHS broke ground on an exciting campus expansion that's adding an attractive, new amenity to the school's offerings. Rising from the ground along Bluemound Road is Honey Creek Hall, a contemporary, suite style dormitory that’s designed to comfortably accommodate 72 domestic and international students and help grow the school’s enrollment. 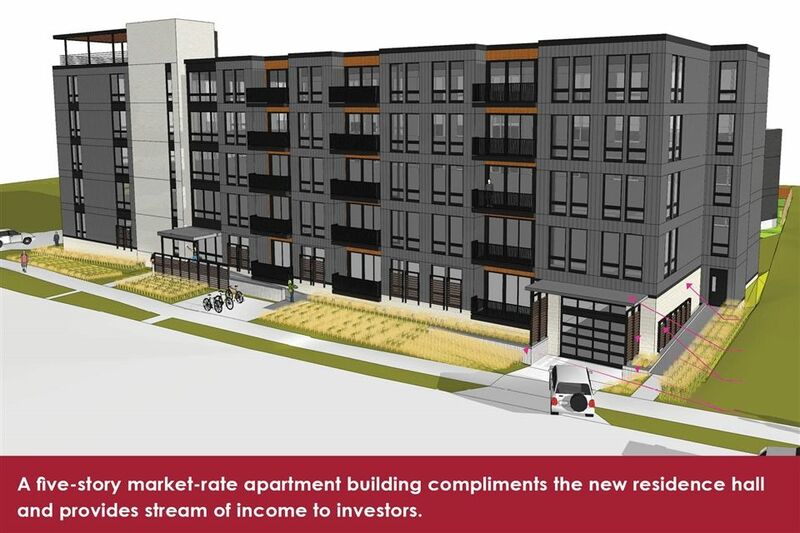 The development is also home to Honey Creek Place, a separate five-story, market-rate apartment building with 62 units that was funded by an outside group of WLHS supporters. Early on, WLHS partnered with the architecture firm Tredo Group, which is led by Mr. Jeff Tredo (‘90) and, Catalyst Construction, which is led by Mr. Matt Burow. In 2014 to meet the needs of its growing international program, WLHS purchased four apartments and two townhouses from Wisconsin Lutheran College on a stretch of land adjacent to the WLHS campus along Bluemound Road and Honey Creek Parkway. While the buildings served their purpose for a few years, they were rundown, costly to maintain, and generally unattractive to domestic and international families who were considering enrolling at WLHS. WLHS incurred no debt with the Honey Creek expansion and actually was able to pay off a $1.5 million loan from the original land purchase. To encourage outside investment, WLHS established a separate limited liability corporation, Honey Creek LLC. To fund the expansion, Honey Creek LLC secured $3.25 million in investments from a group that includes long-time WLHS supporters, the WLHS Foundation, and WLHS. The investors also agreed to guarantee the debt of the entire project for WLHS and its Foundation. Honey Creek LLC has hired an experienced management firm to oversee the apartments. That means, WLHS and its staff will not be involved in the operation or maintenance of the apartment building. As one of the investors in Honey Creek LLC, WLHS will receive a portion of the yearly income from the apartments. As part of the development of Honey Creek Hall (the new, apartment-style dormitory for students), WLHS received a $500,000 gift from a generous donor to invest in the project. 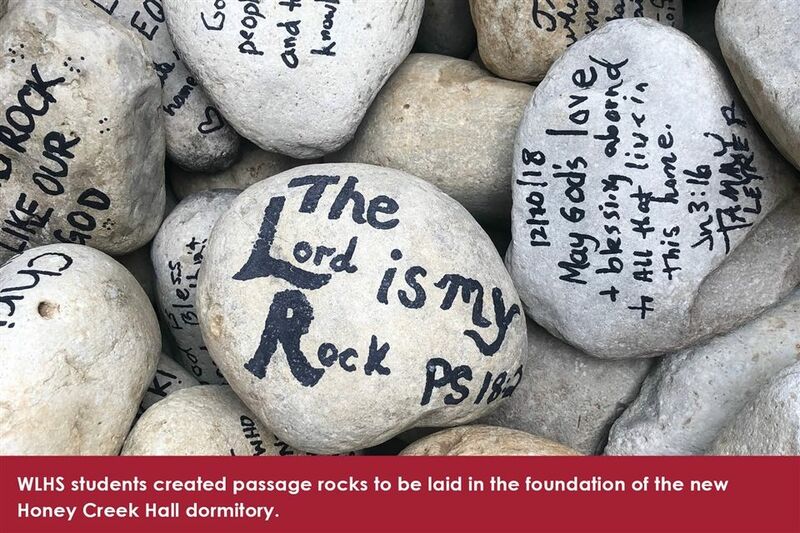 In addition, international parents have contributed funds to cover a portion of the furniture costs for the dorm. Honey Creek Hall will ensure WLHS remains an attractive option for domestic and international families. 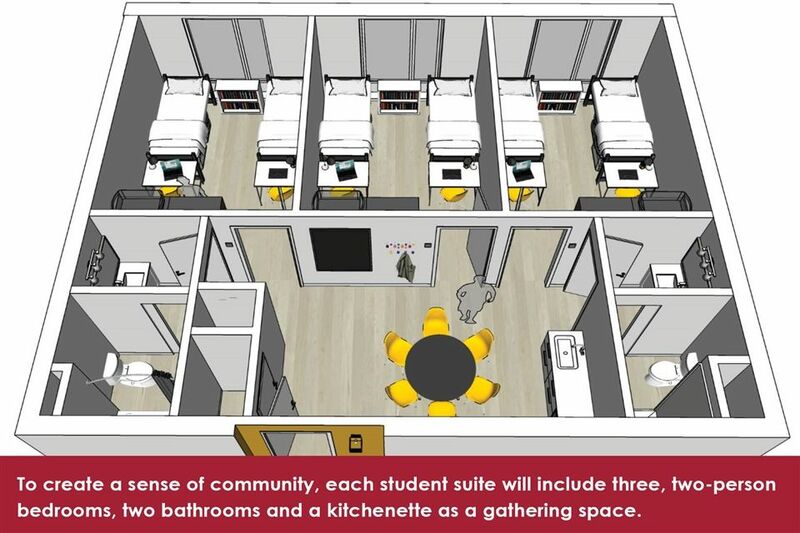 In addition, if WLHS ever decided to discontinue its on-campus housing program, the student suites have been designed so they can easily be converted into two-bedroom apartments, if necessary. In 2016, WLHS began offering on-campus housing for out-of-state students or those who simply live too far away for a daily commute. Since then, a number of WELS students have enrolled in WLHS, including several from the WELS school, our school in Falls Church, Virginia. This year, WLHS welcomed four domestic students from California, Montana, and Virginia. The Honey Creek Place apartments feature upscale amenities, including granite countertops, large walk-in closets, balconies on all units, and underground parking. Plus, there’s a workout facility, rooftop pergola with a fire pit, and dog washing station. The 62 units range in size from efficiencies to one-, and two-bedroom apartments. For more information on the domestic student program, contact Brad Wetzel (‘98), director of admissions, 414-453-4567 ext. 1322 or brad.wetzel@wlhs.org.